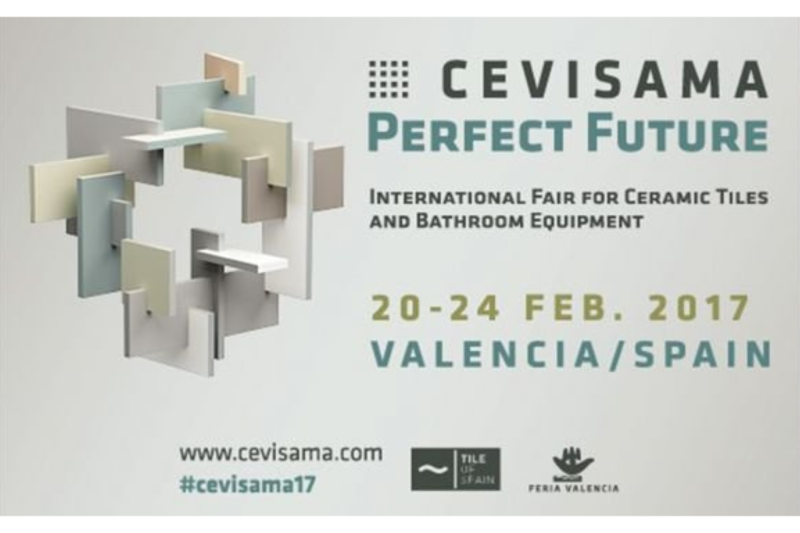 Once a year, Spain’s tile manufacturers come together at Cevisama to exhibit the best of what the ceramic tile industry has to offer including textures, glazes and colours. 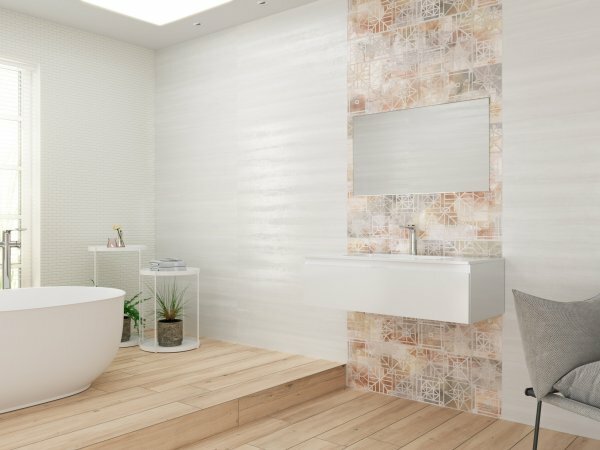 Covering over 10,000 sq m of exhibition space and attracting 86,000 buyers, also on show was bathrooms, as well as complementary sectors such as natural stone, raw materials, roof tiles and bricks, materials and tools for laying and installing tiles, and machinery used in the ceramic tile industry. 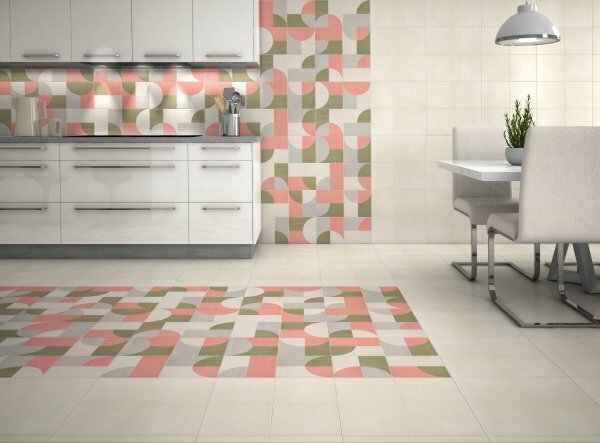 We spotted eight dominant tile trends among the exhibitors. 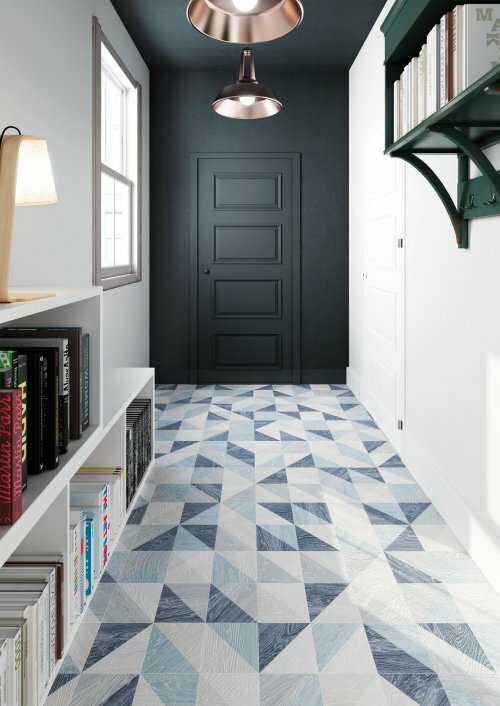 Triangles are the way forward, with manufacturers working the trend for geometrics into many of their designs. 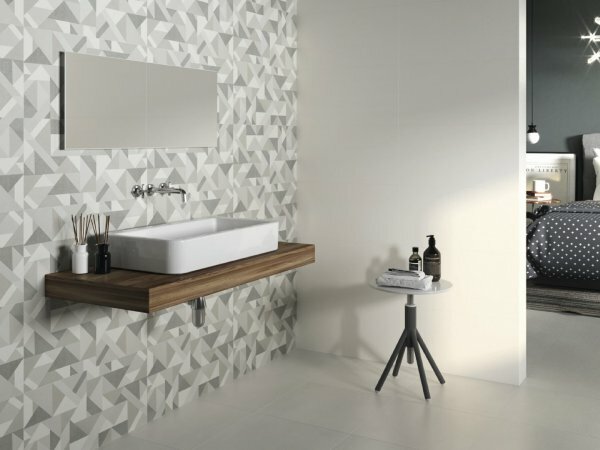 Favourites included Gayafores’ Melange, a wood-effect porcelain tile featuring triangles in blue, natural or black, and Caleidos by Undefasa, a striking hexagonal porcelain wall and floor tile in five matt colours. Undefasa wasn’t alone in using shape to create a standout proposition. 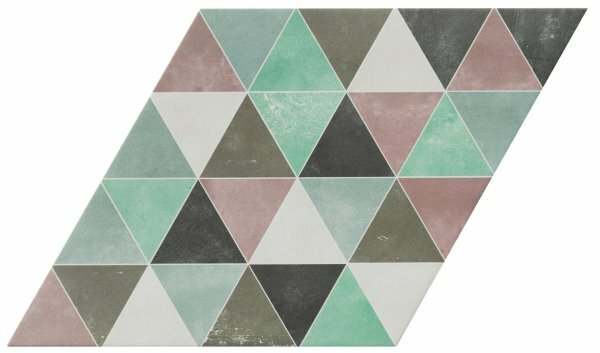 Equally shapely was Diamond Triangle Garden by Realonda, a matt porcelain wall tile available in eight designs and six colours. Bellavista has put a refined spin on its Savona collection. 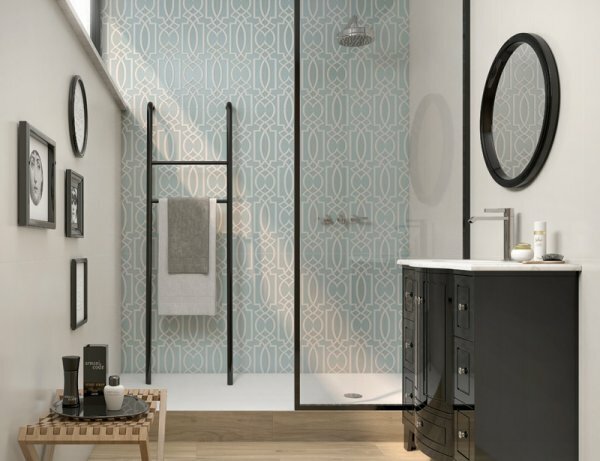 It’s available in four neutral colours with a matt finish; we fell in love with the sophisticated greys seen in the bathroom below. The peril of using pastels is that your home can feel a bit sickly sweet. Fortunately, advances in technology mean manufacturers can now create a wider range of colours. The result is that pale can now also be playful. Lenos by Onset is an excellent case in point. 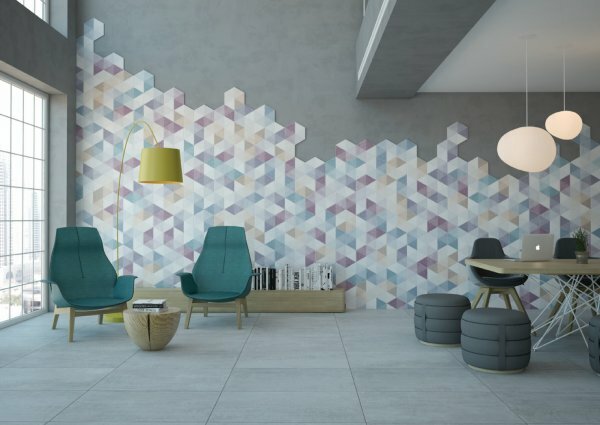 A new addition to the Harmony Signature collection by Peronda, this porcelain wall and floor tile is available in multiple pastel shades. 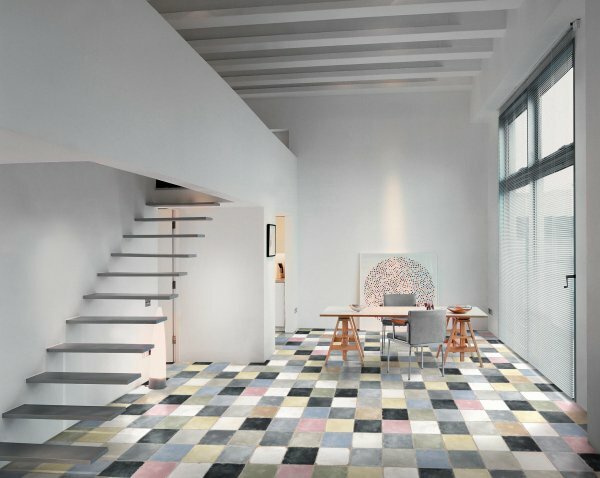 Also check out the Cottobello collection (a lesson in combining patterns and pastels) by Natucer or Apulia R Multicolour by Vives. It’s pretty and practical, and suitable for indoor and outdoor use. 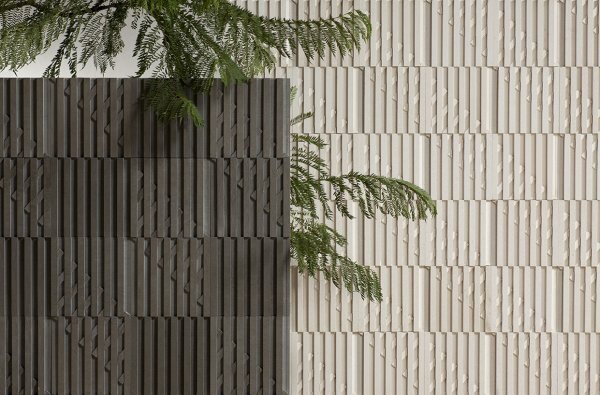 Surface embellishment was another strong trend at Cevisama , with tile manufacturers delivering an ode to artists. Cue hand-drawn sketches: think chalk marks, pencil and paintbrush strokes used either large scale or as an accent. 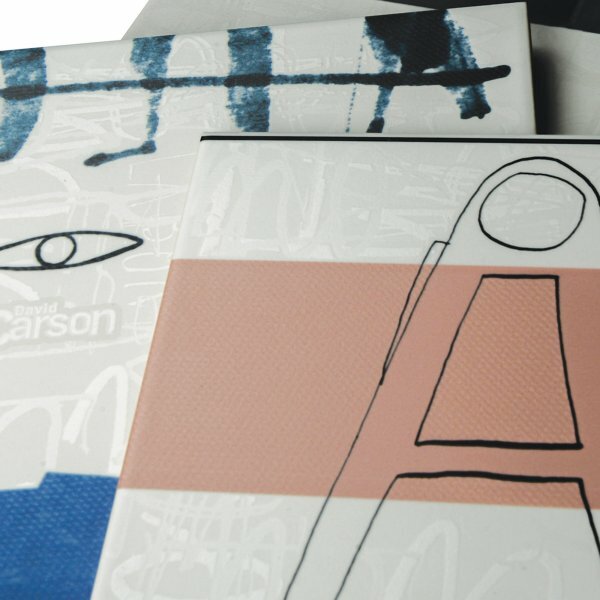 Stealing the spotlight was Cas Cerámica’s Carson Relax, a ceramic wall tile with an original art design by American graphic designer David Carson. 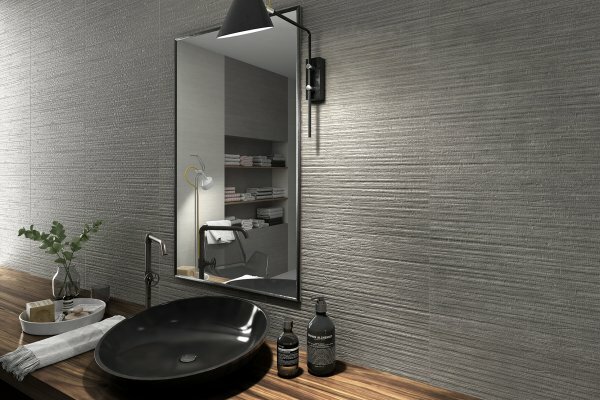 No less noteworthy was Maritima Alboran by Grespania, a ceramic wall tile featuring a hand-drawn effect in a matt or satin finish. The mark of the maker is not exclusive to conventional art forms. 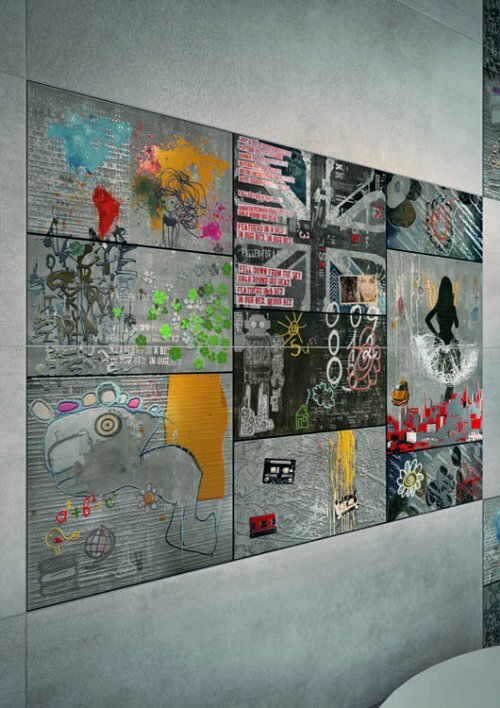 Underground by Dune is a porcelain wall tile available in a range of patterns that can be mixed and matched to create a graffiti effect. It’s available in matt, satin or a mixed gloss-matt finish. 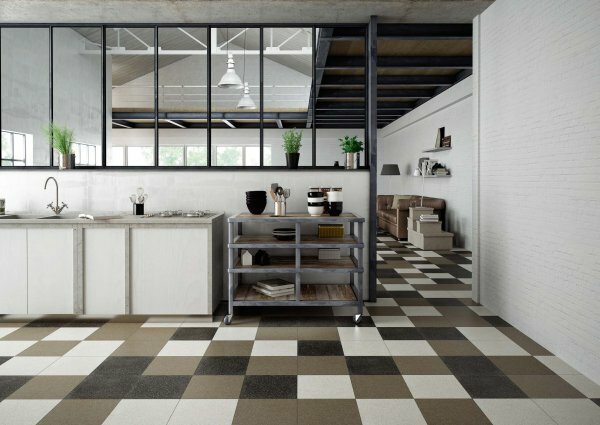 Lines never go out of style and at Cevisama they were everywhere: running vertically or horizontally across the surface of tiles, and criss-crossing to create more drama. Some designers opted for the subtlest of suggestions, while others allowed their lines to stand out – quite literally – using texture. 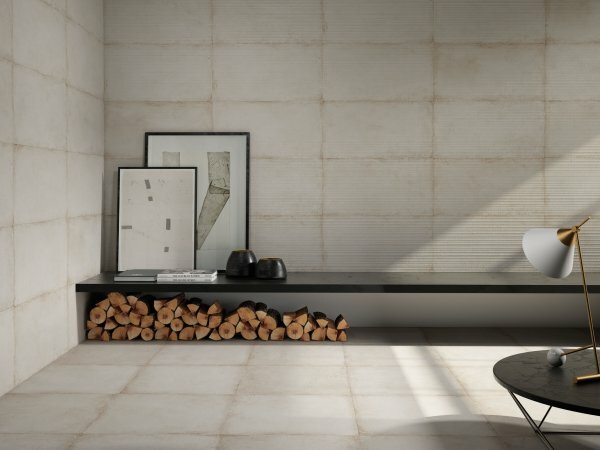 Examples include Mileto by Saloni and Arame by Metropol Ceramica. Designers certainly don’t seem to have felt hemmed in by lines. Instead, they’re feeling inspired. 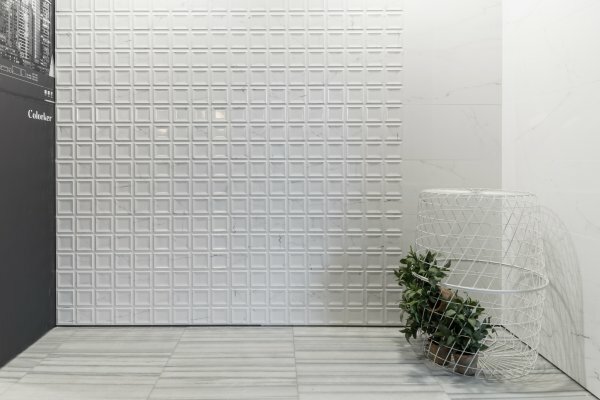 Eleusine, the work of Japanese designer Jin Kuramoto for Peronda, is a natural-stone wall tile inspired by the shadows of lines cast by the sun on a wall. 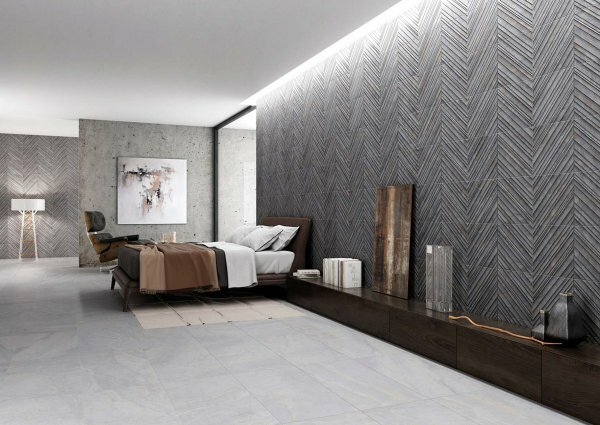 Elsewhere, Osaka by Gayafores is a porcelain wall tile sporting a rough hewn linear effect that can be used to create striking textural patterns. 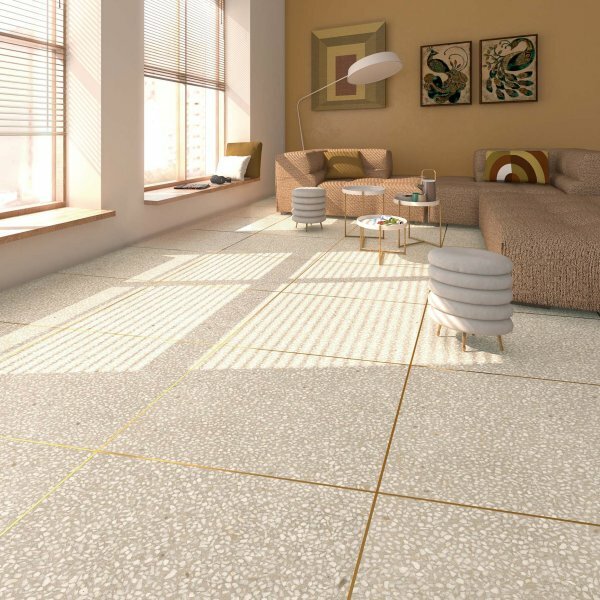 Even if you are not familiar with the name of Terrazzo flooring, you’ll have seen the product: a specked surface first used in Italian palazzos and later in offices and public spaces because of its distinctive look and reputation for durability and affordability. 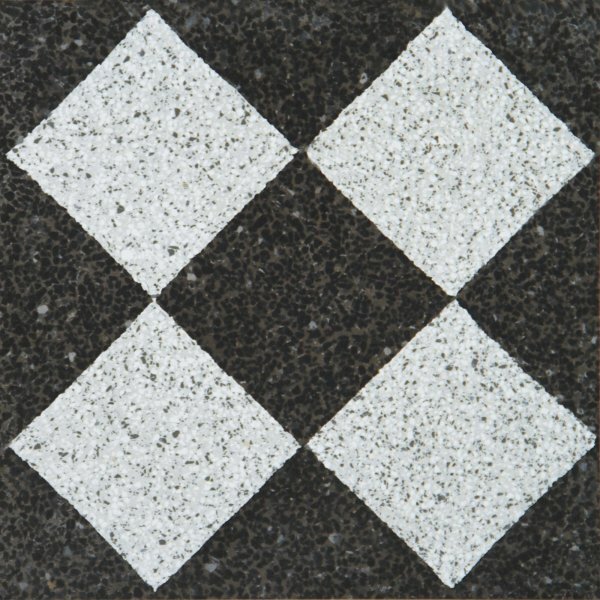 It’s made of chips of stone or resin set in concrete and polished to create a smooth surface. 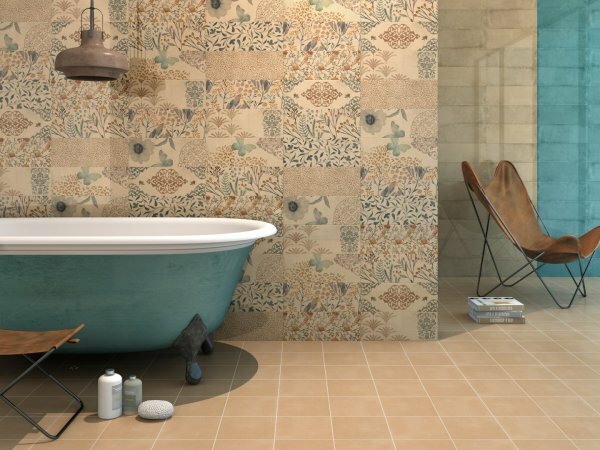 Nostalgia is no longer the preserve of furniture manufacturers: the makers and shapers of the tile industry are turning back the clock too. 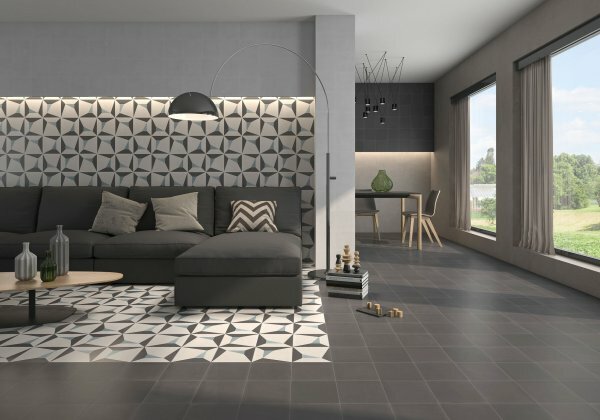 The Concept collection by Cas Cerámica is an excellent case in point, comprising satin-finished ceramic tiles in five retro designs that give owners the opportunity to create dramatic effects on both walls and floors. Nostalgic prints remain popular because they’re versatile. 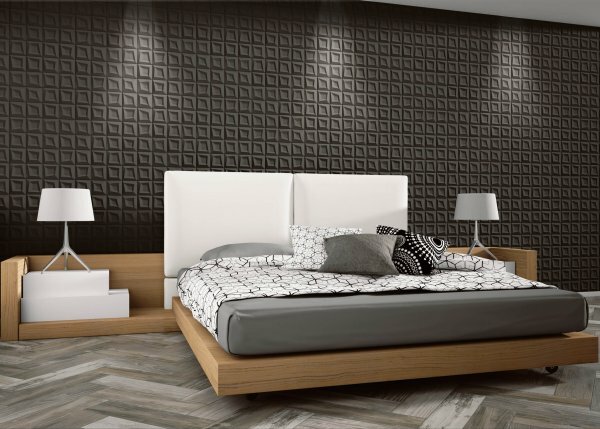 Take Forma, for example: it’s a relief-effect porcelain wall tile by Apavisa, available in two finishes and four colours, and used to striking effect in the bedroom below. Meanwhile, Royals Noble by Pamesa offers a contemporary take on a traditional pattern and comes in seven colours including Ocean (shown). 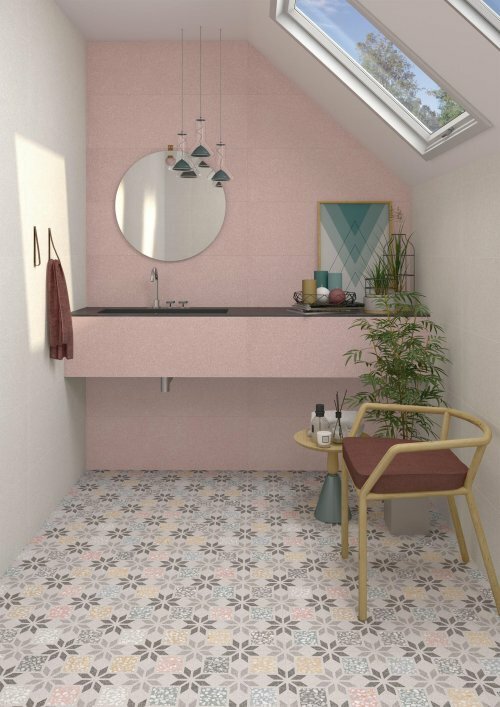 Our favourite is Moon Deco Pink by Realonda, a retro porcelain tile for walls and floors featuring 10 designs with four patterned colours and two plain colours . 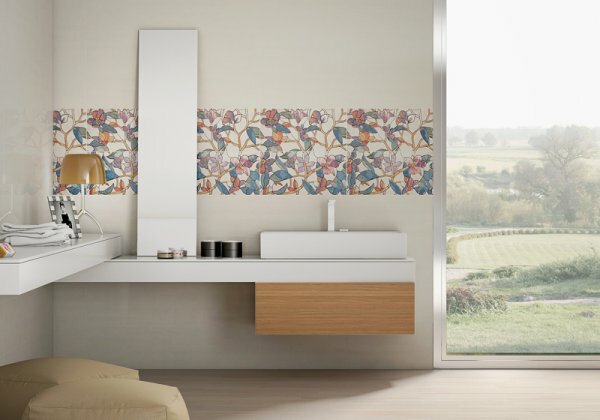 The latest ceramics are in full bloom, featuring flowers either as a feature wall or as a strip effect. 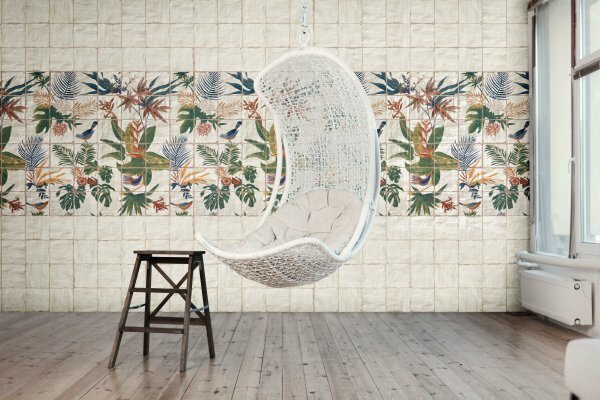 At Cevisama, there was barely a brand that didn’t embrace the trend, with collections featuring everything from ditsy buds to statement blooms. Proponents include Mainzu’s Livorno Sonata collection (think big, bold and exotic) and Futura by Pamesa, which is more traditional in its appeal but no less noteworthy. Of course, there was a counterpoint to all this boldness; after all, florals can be as much about tranquillity as they are about making a statement. 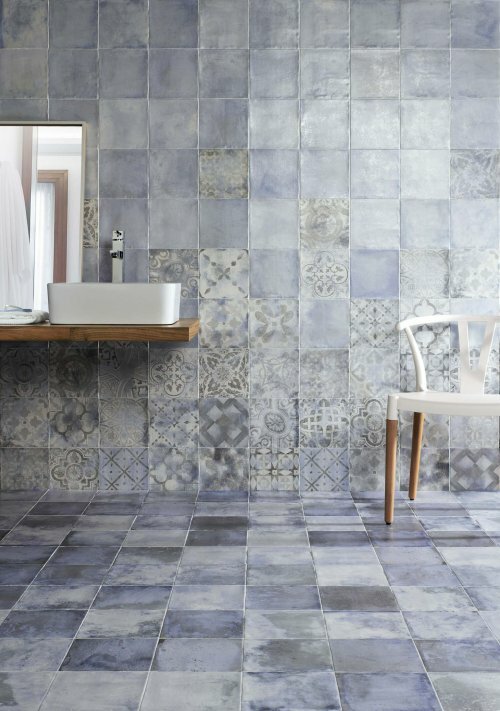 Cas Cerámica made a case for a more muted aesthetic with Forever, a handcrafted tile with a homespun feel. 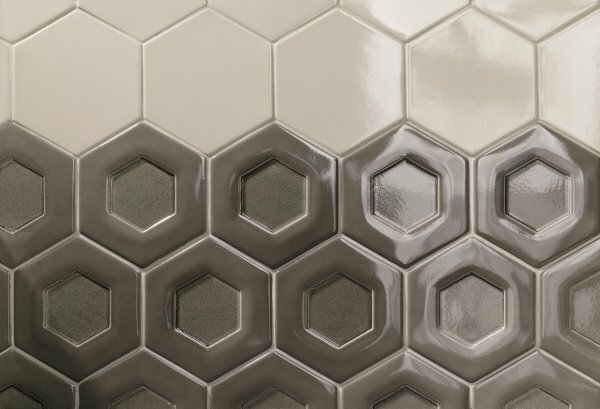 While 3D-effect tiles are by no means new, progress in production methods means that manufacturers have evolved the aesthetic to create designs that skillfully draw in the eye. 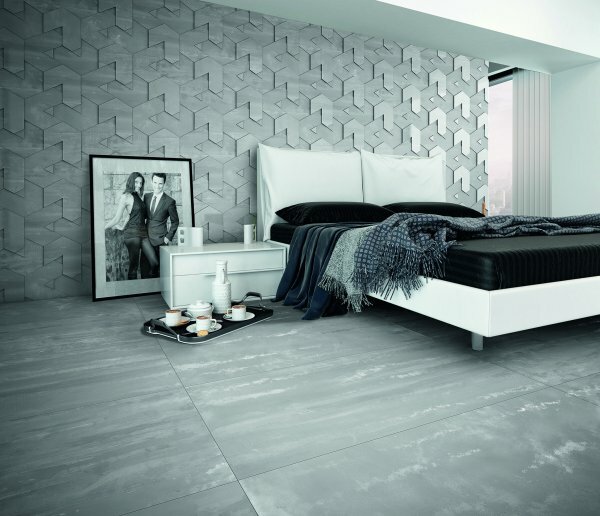 Coming up trumps is Apavisa with Nanoforma – a 3D porcelain wall tile in six colours including seductive silver (shown) – and Natucer with Dual, an extruded porcelain wall tile with a micro crackle glaze, available in six neutral colours.